Long-time readers of mine know that I have a penchant for handbags and while I try to introduce more affordable options via handbag reviews either here or in my youtube channel (watch my playlist), I do, from time to time, add “luxury” item here and there to add to my collection (read where I buy second hand luxury brands). First, I look at the brand’s philosophy, then the material being used, and third, price point. Sometimes though, I buy an item strictly for review as requested by my viewers and readers. Now if there is one great thing about the rise of vegan demographics, we are no longer a subset of consumers. We have discriminating taste; hence, companies are taking strides in bettering their products, more so in their sustainability vis-a-vis ethical efforts both in materials and human aspect of production (read is vegan leather good or bad). Enter Alexandra K, a vegan luxury Polish brand. Founded in 2014 by Alexandra Kościkiewicz, her goal is to penetrate high fashion market utilizing high quality vegan materials. 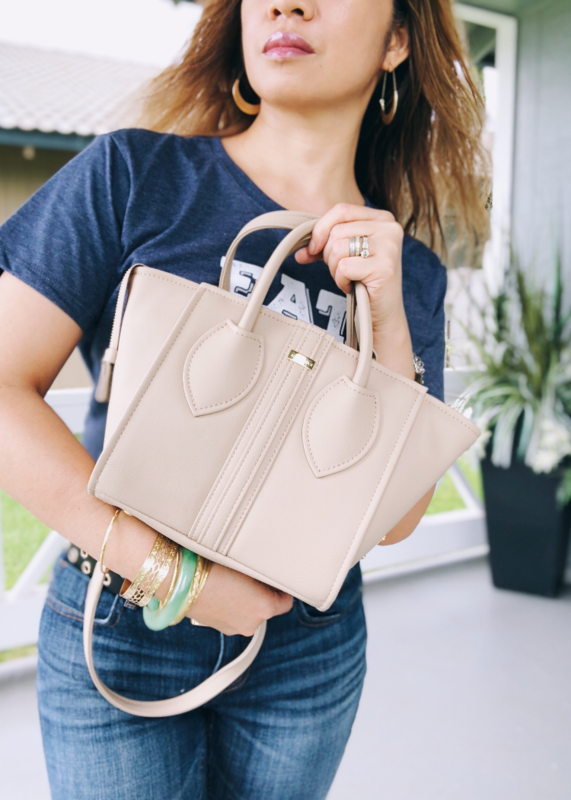 Time and again, I get asked by my viewers if I own a bag from this brand and since there’s no US seller until recently, I kind of let it slipped under my radar. So what makes this bag unique? I had the same frame of thought because I’m not going to drop almost 300 bucks for a handbag this size. 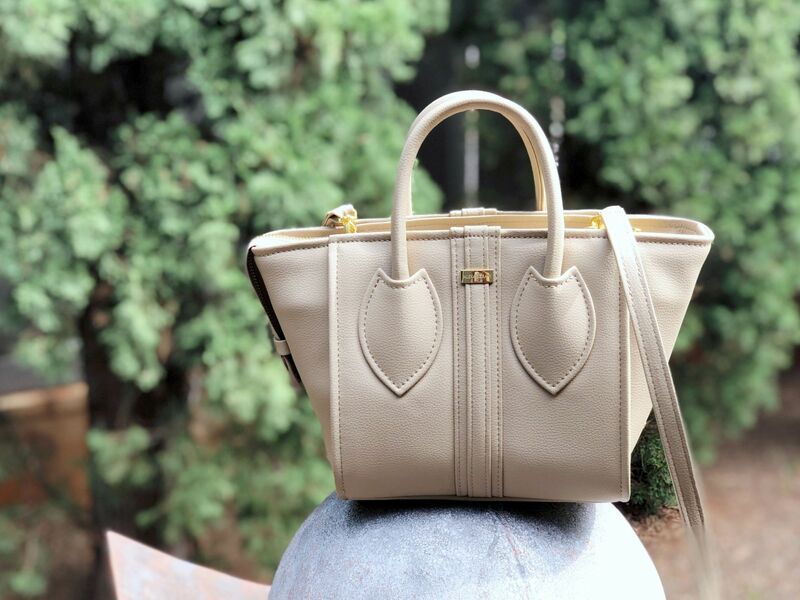 Handcrafted in local shops in Poland, it’s interesting to read the materials being used for Alexandra K handbags, depending on the style and collection. Briefly, there’s freedom leather (more details below), peace-suede, peace-leather (microfibers made from recycled PU and polyamide), apple leather (yes, from apple peels, seeds, cores) and pinatex (fabric from pineapple). Innovation is our big word for today. Impressive isn’t it? ​” This special material is made of 100% Silicone, a unique, non plastic, non-petroleum based material admired for its sustainability qualities – in its raw form it is one of the most common elements found in nature, quartz sand. Not only is it less intrusive on the environment, but the production of it is less taxing on natural resources. It requires less water, raw material, and electricity to produce compared to PU and PVC. There’s no need to clog up landfills, Freedom-leather is recyclable. Our fabrics surpass environmental standards, so you can breathe comfortably knowing that you are using a fabric that’s safe for you, and the environment in addition of being 100% cruelty-free “. 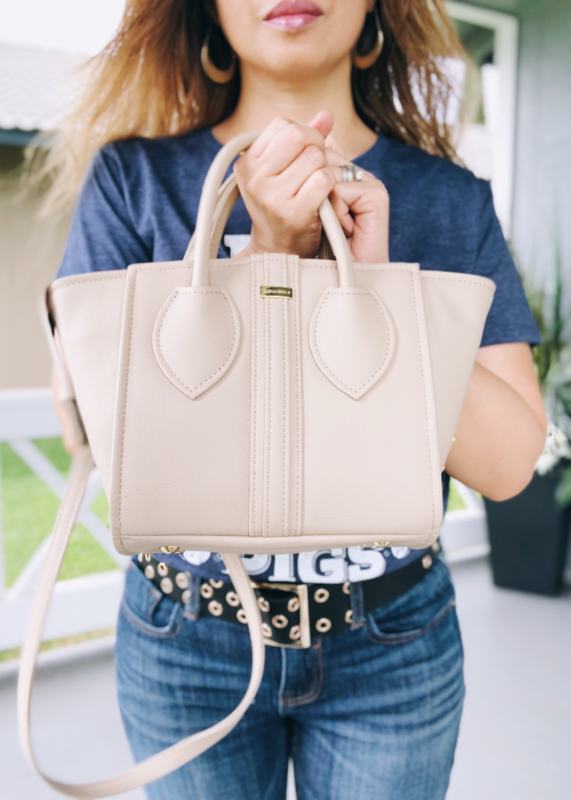 I purchased this bag from Kind Style Shop, they offer free shipping across the USA, and fast at that! This particular style is called 1.3 Mini Tote Vanilla Pudding. 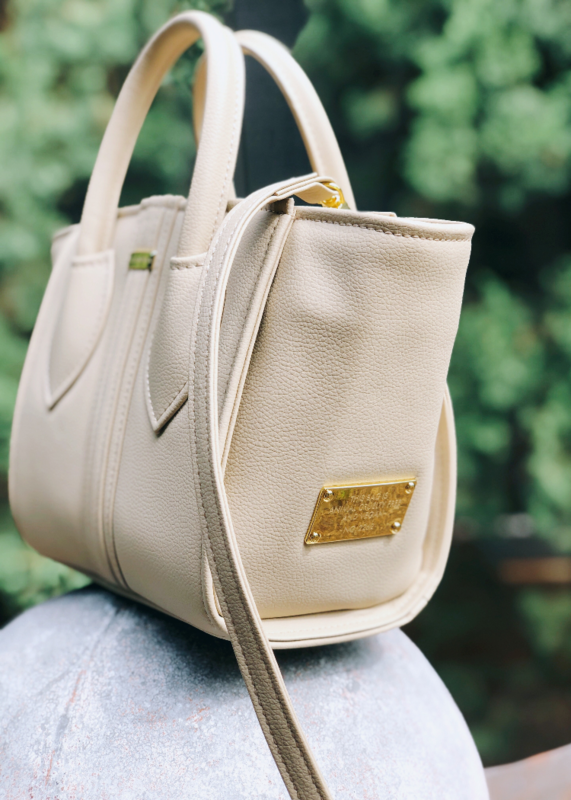 One striking feature of this handbag is the gold stamped logo that says “this bag is animal cruelty-free and vegan, with corresponding serial number”. Also, what a neat surprise to find 2-year warranty card tucked inside the pocket! 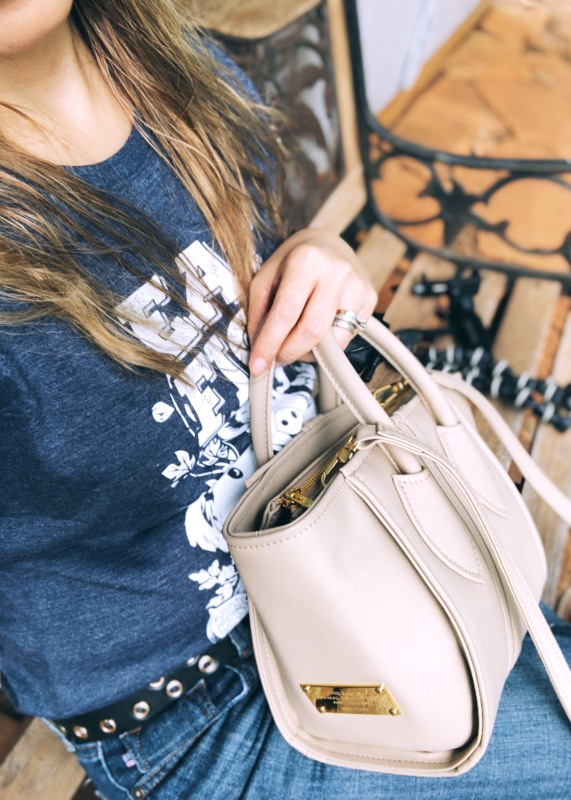 Please watch this video to see more of this beautiful handbag in action! Here’s my invite link, get 10% off your purchase from Kind Style. This purse is adorable, and I don’t think it’s too small at all. I love the neutral shade. It was interesting to find out what it is made of and how it is made. I know you probably keep your purses forever, but how would a bag composed of 100% silicone be disposed of? Just curious if, say, you got ink on it and couldn’t use it? I love the bag and your photography skills are getting to be so amazing! Teach me your ways. Thanks so much! I shared my photo tips in a previous post. Another winner for your bag collection. While it’s smaller than I care for I really like the style and ethics of it. I like this bag, it’s just the right size for me. This is an absolutely beautiful handbag! It’s the perfect size, in my opinion. I can’t believe that it is made from silicone– that is so cool.